Heads up, stationery addicts! Here's where to get your fix. 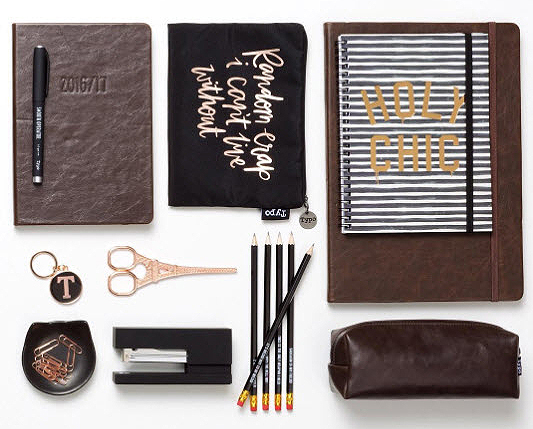 (SPOT.ph) Slightly obsessed with stationery? We feel you. It could be nostalgia or a throwback to the years when you used to collect and swap stationery with your classmates. Or maybe you just can’t resist pretty things. (We don’t blame you. 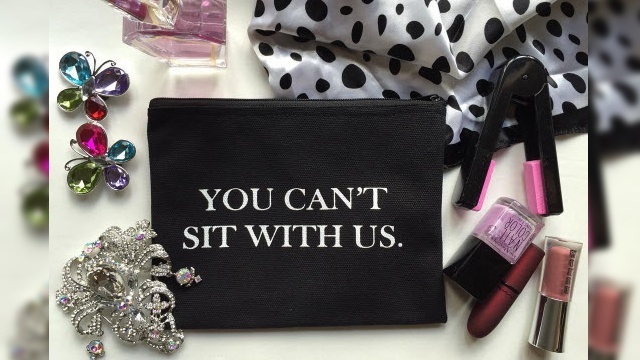 We can’t either.) Or maybe you just have a serious stationery obsession. Whatever the case, we don’t judge. 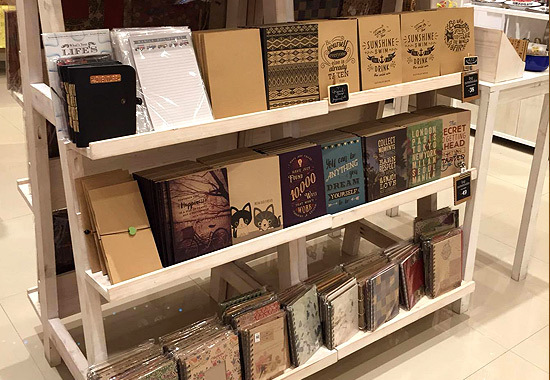 So here are a few stores to check out if you need to buy more notebooks. Because sometimes, you just can’t have enough notebooks. We speak from experience. 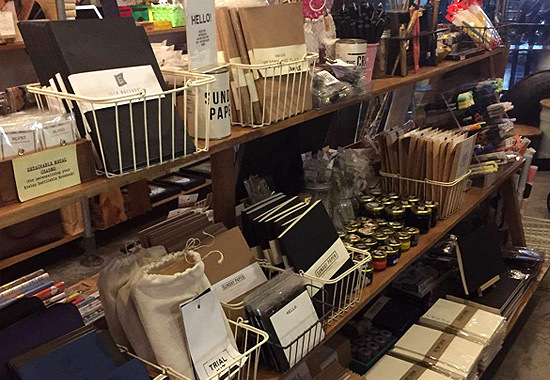 If you’re looking for stationery and school and office supplies that are trendy and cool, this store is your best bet. 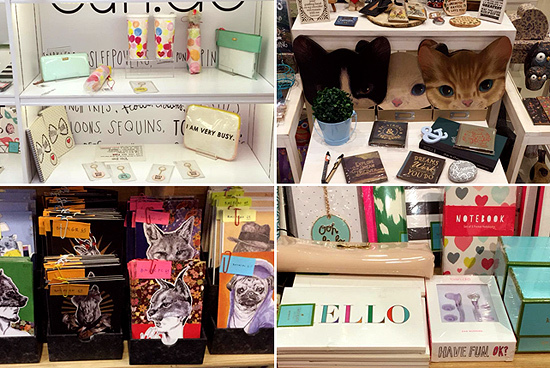 Unicorns, cats, pineapples, succulents—this place is a hipster’s dream come true! BRB, buying a cute cat notebook. Typo has branches at B6 Bonifacio High Street, 11th Avenue, Bonifacio Global City; and G/F TriNoma, Quezon City. Everything is so kawaii! 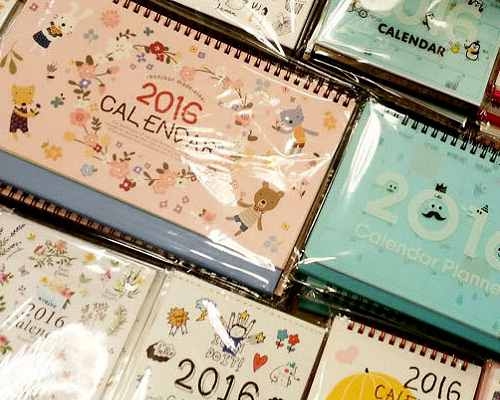 Which is not surprising given that Artbox is Korea’s leading stationery gift shop. You’ll find cute illustrations of teddy bears, penguins, and pandas—lots and lots of pandas—on everything from pens and notebooks to socks and umbrellas. P.S. We especially love their drawing pads. They do the job and they’re cute to boot! 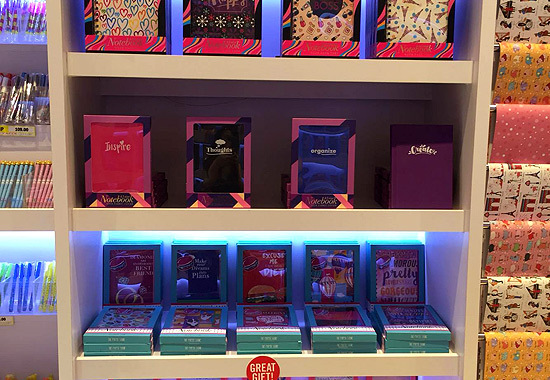 Artbox is at G/F Glorietta 4, Ayala Center, Makati City. Buy local and support homegrown crafters and artists. 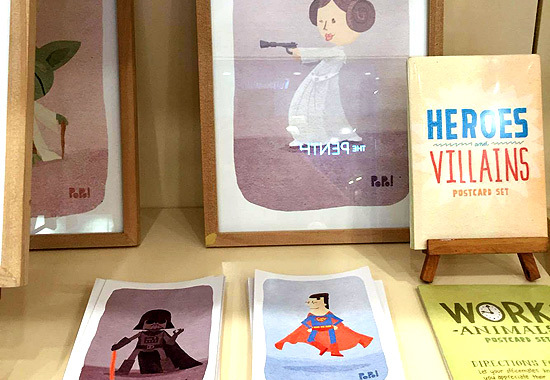 Head over to Common Room, which houses a carefully curated collection of merch from local makers. The postcard shelf—with everything from dreamy to cute to cool—is guaranteed to make you want to take up the lost art of letter writing. Common Room is at F.B Dela Rosa Street, Katipunan Avenue, Quezon City. Your favorite crafts supply store recently just moved from Esteban Abada to UP Town Center. 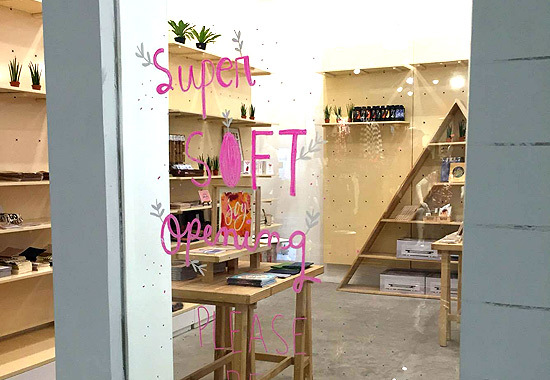 It’s still the charming little store you’ve come to know and love, except now it has lots of space to hold more crafting supplies, washi tapes, as well as stationery and gift items from local artists and crafters. Hey Kessy is at Urban Turf, 2/F UP Town Center, Quezon City. So much color! It’s like a unicorn threw up rainbows. And yes, we mean that in the best way possible. 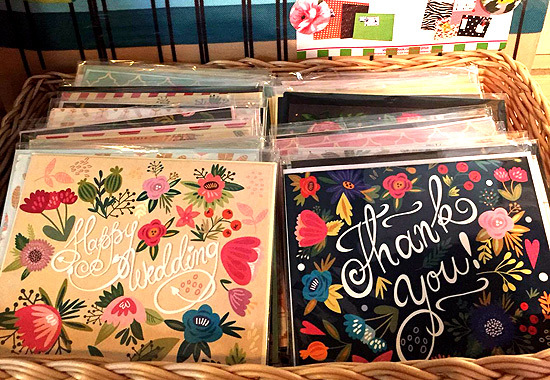 We’re huge fans of cheerful and colorful stationery that are bursting with good vibes and positive energy. Their notebooks are perfect for your young nieces and nephews, and the journals and scrapbooks would make great gifts for your besties. The Paper Stone has branches at G/F Gateway Mall Araneta Center, Cubao, Quezon City; 5/F Mega Fashion Hall, SM Megamall, Mandaluyong City; UG/F The Annex, SM North EDSA, Quezon City; and G/F UP Town Center, Katipunan Avenue, Quezon City. Your source of cute pens, pencils, erasers, and other school and office supplies, Scribe is also the place to go to for your calligraphy needs. They sell inks, nib holders, and brush pens. They also stock chic travel notebooks and stickers that you can use on your next trip! This furniture and lifestyle store is all about design made happy, and their paper goods will certainly make you happy. Check out the art prints by artists Raine Sarmiento and Jamie Catt, note cards from Rifle Paper Co., Fiona Cartolina, and Sycamore Street Press, notebooks from Two Thirty Sixty, and weekly planner pads from The Lunch Break Project. 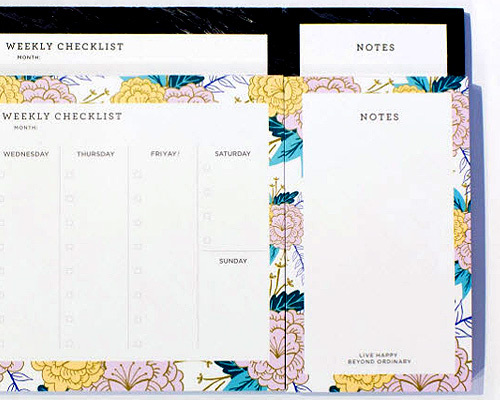 Pretty stationery equals happiness! Makes sense. Heima has branches at 103 Three Brixton Building, Brixton Street, Barangay Kapitolyo, Pasig City; and 229 LRI Design Plaza, 120 N. Garcia Street (Reposo), Bel-Air II, Makati City. 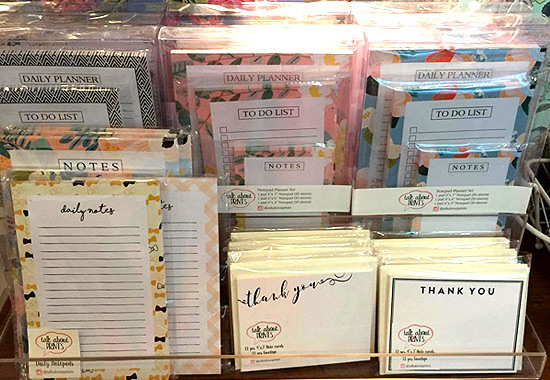 You’ll absolutely love their pretty, locally designed notecards, notebooks, and weekly planner pads. They also sell cute pencil wrap cases, lovely magnet boards that you’ll be more than happy to hang up on your wall, and the sweetest looking clipboards you’ll ever see in your life. 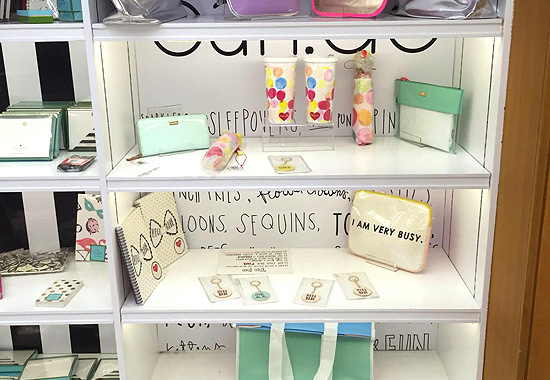 Fab Manila has everything you need to prettify your desk! Fab Manila has branches at 2/F Archaeology Wing, Power Plant Mall, Makati City; and UG/F New Wing, Alabang Town Center, Muntinlupa City. 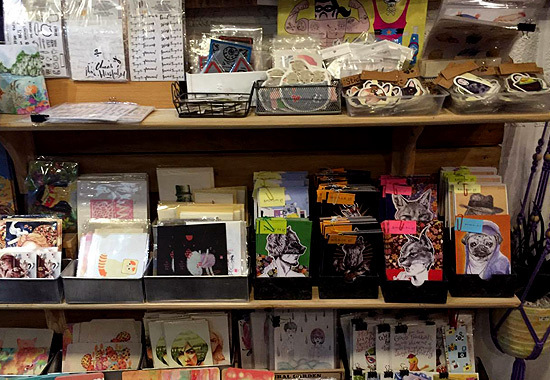 If you’re a child of the ’90s, you’re probably familiar with this rustic gift shop. Chances are you wrote your friends’ retreat letters on Papemelroti stationery back in the day. Step into the store and it feels familiar and new at the same time. 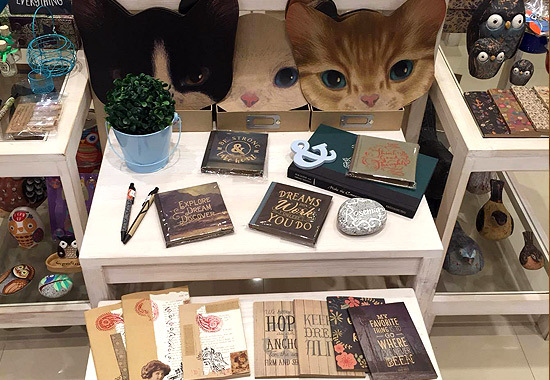 We’re really loving the huge selection of notebooks, photo deco posters, the gigantic cat face postcards, and the Philippine Flavours postcards—a cooler alternative to the ’80s-style, local scenery postcards that we’ve been stuck with forever. Naturally, NBS a.k.a. 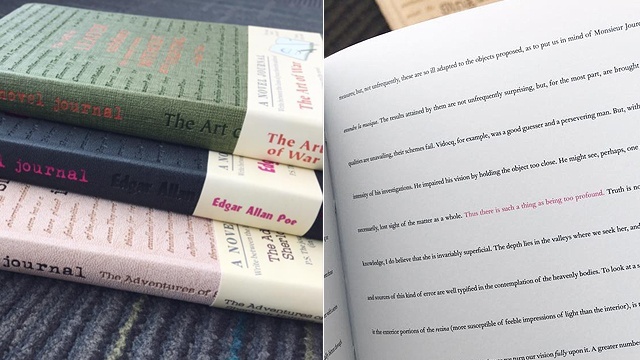 the pambansang bookstore is going to make it on this list. They carry chic paper goods and small gift items from Kate Spade, Bando, and Jonathan Adler. 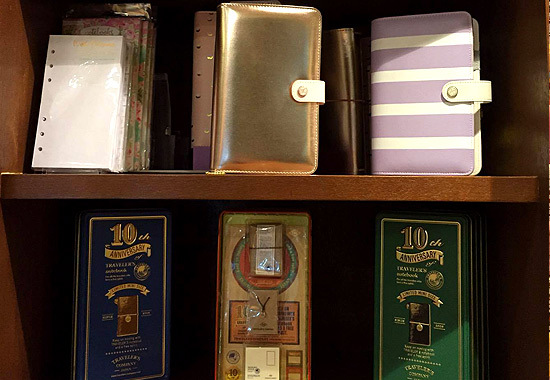 They also have Moleskine notebooks and planners (we love the Snoopy, Star Wars, and The Little Prince series.) and Leuchtturm 1917 notebooks and planners in all the colors of the rainbow! 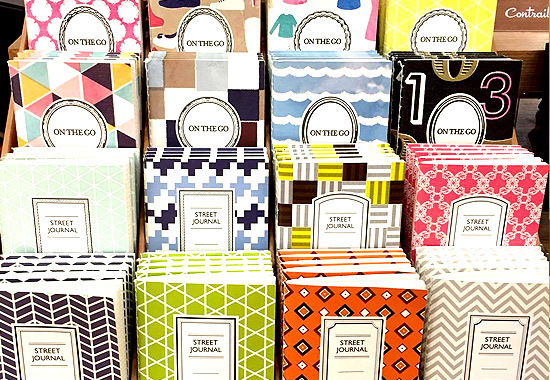 The pretty On the Go and Street Journal notebooks are also a fave. They’re tiny enough to fit in your jeans pocket!